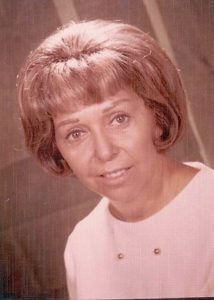 Flora Dungan was an important Las Vegas woman who sued the state in order to obtain fair representation for Las Vegas in the state government. Dungan was born in 1917 to Russian-born immigrant parents. She attended college in southern California and earned a bachelor’s degree in psychology in 1938. After she finished college, Dungan worked in legal research and worked to improve child welfare. World War II made it impossible to continue her employment in those fields and she took an accounting job. She continued accounting following the end of the war and came to Las Vegas in 1948 where she worked as a public accountant. After moving to Las Vegas, she and her husband, L. Donald Dugan divorced, but she kept his last name. Dungan became active in various community organizations like the American Association of University Women, Zonta (a women’s service organization), the Las Vegas League of Women Voters and various professional groups. During this time, she became active in the Clark County Democratic Party serving on both the county and state central committees. Dungan was elected to the State Assembly in 1962 as a Democrat. In 1964, she made state news when she sued Governor Grant Sawyer over the apportionment of the state legislature. The case, Dungan v. Sawyer, was derived from the conclusions of the U.S. Supreme Court case, Baker v. Carr (1962), and the one-man, one-vote mandate. Dungan felt that the rural areas of the state were being given too much representation at the expense of Clark County. The case went to Federal District Court and reapportionment was granted. As a result, Clark County gained four seats in the Assembly and seven in the Senate. Dungan was reelected to the state Assembly in 1967 and, in the same year, she sued the state once again, this time for an expansion of the Board of Regents. She was successful and Clark County gained the majority of seats on the Board of Regents. Dungan was elected to the Board of Regents in 1972. Unfortunately, her service on the Board of Regents was limited by her an untimely death from cancer in 1973. For further biographical information: Flora Dungan papers. Nevada Women’s Archive. Special Collections, UNLV. Collection number T-117.